Altevers Associates, (http://www.Altevers.com ) announced the long awaited opening of the Rolling Hills Country Club (RHCC). First retained in 2004 to design a state-of-the-art clubhouse, fitness center, golf academy, tennis center and resort style pool, the project was put on hold due the recession in 2007. In 2014 the 160-acre Rolling Hills Estates project resumed. Located on the east side of Palos Verdes peninsula, the site boasts commanding views of downtown Los Angeles and the L.A. Basin. The site, once a sand and gravel quarry, required massive grading. The City Planning Agencies had very specific criteria for what would be the largest project in the city by far. They wanted the design to relate to the existing ranch style residences in the community. “This was our first challenge,” explains Robert J. Altevers, AIA, NCARB, founder and managing partner, Altevers Associates. 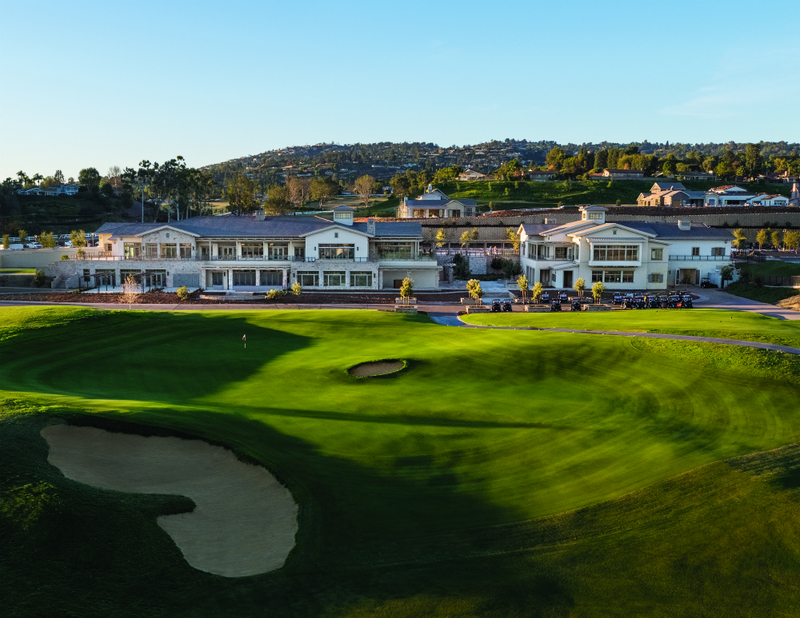 “As the ‘poster boy’ for the new Palos Verdes Estates architectural style, we needed to take a 70,000-square-foot, two-story clubhouse and give it a ranch-style design. The next challenge required raising the structure 30 feet higher than the existing grade.” Altevers and his team created 3D visualizations to integrate the clubhouse with the golf course to capture the best day and nighttime views. “The ways we connected the indoor and outdoor environment is truly remarkable,” continues Charles A. Holt, LEED AP (BD+C), senior associate, Altevers Associates. “One of the things I am most proud of is the layering and stepping of the two-story façade to allow the large building form to transition to the residential context,” he continues. 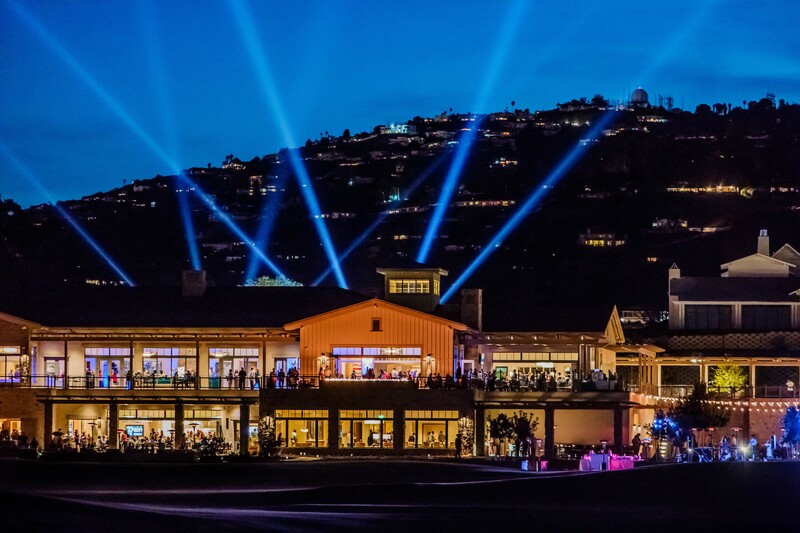 More than a thousand members, guests, local dignitaries and the talented teams that turned this decades-old vision into a reality, celebrated over two days of live music, dancing, gourmet food, and an old-fashioned ribbon cutting ceremony at their new club. Internationally acclaimed Altevers Associates and Altevers International (http://www.Altevers.com) have provided award winning architecture, planning and interior design services for the luxury commercial and residential marketplaces for more than 43 years. With a global portfolio of notable projects to include resort hotels, country clubs, retail, restaurant, spa, fitness studios, and luxury residential, the Altevers name is synonymous with quality and luxury. Known for their meticulous attention to detail, fresh inspired design and commitment to excellence, each project begins with their client’s vision, and is grounded in a thorough understanding of site, lifestyle objectives, architectural influences, environment and sustainability. The high-quality design solutions the firm is known for are achieved by the thoroughness in the initial planning phase, with attention to the finest details. For many large commercial projects, years may pass from initial concept to completion, but that initial vision is immediately recognizable in the final walkthrough. Established in 1965, Rolling Hills Country Club (http://www.rollinghillscc.com) is a private, family-friendly country club perched upon the rolling hills of Palos Verdes Peninsula with expansive skyline views of the Los Angeles Basin and San Gabriel Mountains. The construction of the new clubhouse and golf course in 2017 brought a new vision of excellence. A brand-new championship golf course designed by world-renowned golf architect, David McLay Kidd. The luxurious 70,000 sq. ft. clubhouse designed by one of the most celebrated clubhouse architects in the west, Robert J. Altevers. Club amenities include, championship golf course, 400 yard double-sided driving range complete with nine regulation greens that can double as a Par 3 executive course, golf academy including state-of-the-art technology including Trackman, Boditrak, and SAM Putt Lab, tennis courts, athletic facility, aquatic center, kids club, elegant spa, fine and casual dining, magnificent banquet event spaces, secluded conference rooms, stately locker rooms, and world-class service distinguishing Rolling Hills Country Club as the preeminent leader in the private club experience.